Hello guys. we are back with another freebies offer, Get FREE Sample of Parachute Advanced Ayurvedic Hair Oil and reduce Hair fall in 30 Days. Now Marico is offering free samples. 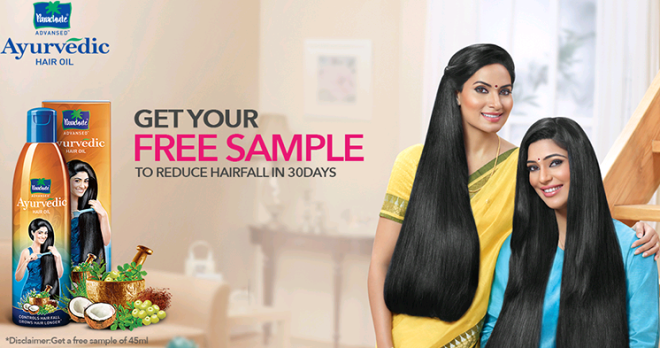 Now get free samples of Parachute advanced ayurvedic hair oil. Parachute Advanced ayurvedic hair oil makes your hair long, soft and strong.New Parachute Advanced Hot Oil’s Deep Conditioning makes your hair softer and smoother. So Grab This Loot Deal and Get Free Sample By Parachute. 4. That’s it. You will get free samples within few days. Limited period offer. Grab your free samples now. Note - Currently, Free Samples are valid for specific Cities of India only.This Freebie is valid for Female only.